Afrihub hosted its second annual Snap @YOUKZN photo competition prize-giving event at the Smart Grid seminar room on the Westville campus. This competition hoped to stimulate creative perception among UKZN students to develop not only a critical perspective of technology but to also see its aesthetic value. The competition was previously known as Snap@engineering as initially it only targeted Engineering students. Afrihub Manager Dr Rudi Kimmie said the theme this year was Snap@YOUKZN and the play on the word “YOU” was to align the students with aspirational activities at UKZN and to capture these through photography. 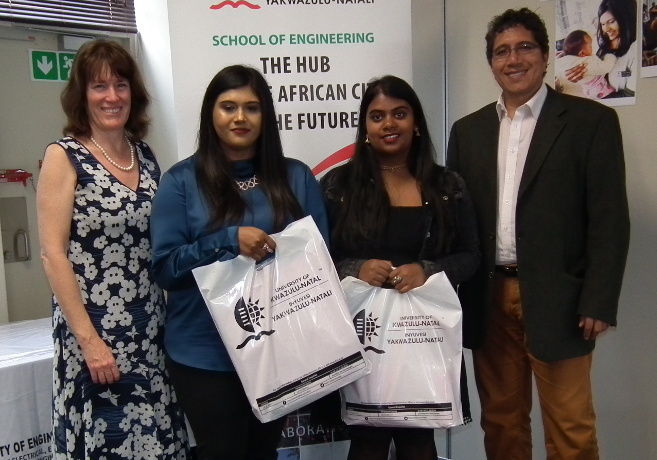 About 60 students entered with the eventual winners being Ms Hannah Fokkens, Ms Sumeshenee Chetty and Ms Nevanya Nydoo. Kimmie said future plans were to continue with the aim of using the accessible mobile phone camera as a means to sharpening observation skills and to nurture creativity. ‘The competition was an elementary form to develop perception and creative skills. These are critical skills needed in a world of rapid and complex transformation,’ he added.